You may have only recently heard about the bookie ComeOn but don’t let that put you off. 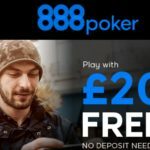 They are one of the fastest growing bookies and have an amazing app for Android, a first class website and some quality promotional offers available. If you want an app that gives you instant access to bet on a huge number of sports, with loads of markets to chose from and at top odds, ComeOn Android app should be worth some consideration. A recently re-designed app interface makes placing your bets at ComeOn easier than ever. If you want a design that is easy on the eye, easy to use and easy to place bets, then this app could be just for you. Launch the app, select sports and you are met with one of the bets looking betting apps on the market. 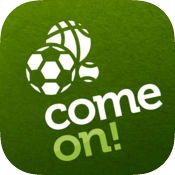 The ComeOn app for Android looks like no other app we have seen before. The home page or lobby on the app displays all the big events happening now with odds set out right in front of you. You can click on the game or match to get a live visualisations, most popular markets at the top and then access to even more markets. The visuals are very good and up there with some of the best in the business. When you compare this app to other bookmaker apps, it definitely doesn’t come up short. Placing a bet with the mobile app couldn’t be any simpler. Once you’ve found the market you want and are happy with the price, simply click on the odds and your selection will appear in your betting slip which will pop up. Enter your stake (amount you wish to bet) and then your potential winnings will be displayed. Then all you need to do is click on Place Bets and your wager will be confirmed. Keep track on all your placed and up coming bets in the account section of the app. ComeOn has a number of features designed to enhance your betting experience. In play betting is now a large part of any betting app and ComeOn! has this as a featured tab available in the lobby. You can use cash out and also partial cash out on lots of available bet types. This is where you can end your bet early if you think it won’t come in for a smaller amount. ComeOn have finally added a build your own bet option and it is called YourBet. This lets you tailor and create your own bet from a wide range of markets and combine them all in to one bet. There are lots of markets available including Match Result, Both teams to score, Corners, Cards and How many goals. It is really easy to place your YourBet. Just go to a pre-match football event, Switch the Toggle On, choose from the filtered markets and add the selections, see the odds calculate automatically as you add more selections to your bet. You can now repeat this and choose up to 6 different bet types and once you have finished your selections, enter your stake and then press the “Place bet” button. It’s now on! The app allows you to swap languages too so if English isn’t your native language, you can select another language from in the menu. 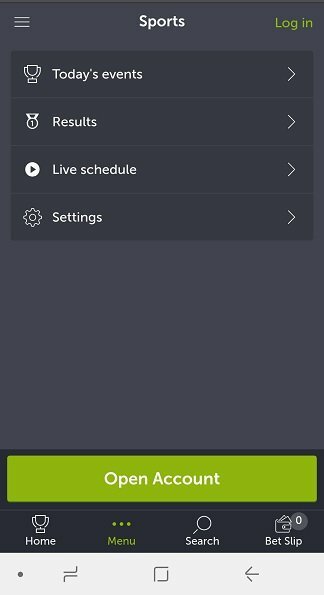 Live streaming is not yet available on the app but we are hoping this changes soon. Although this is lacking, one area that is very good is the horse racing. ComeOn have live audio coverage of a lot of races so you can listen whilst you back your winner. 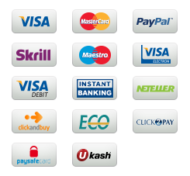 A comprehensive my account lets you easily add funds and withdraw funds. You can also see your full bet history including settled bets and unsettled or future bets you have wagered on. Speaking of wagers, there is a huge choice of markets for you to back a winner on. You can find all the popular football leagues and competitions on the app. Like any bookie app, football is one of the most popular sports to bet on and so is well represented. There are lots of markets to pick from and ComeOn has good odds compared to their industry rivals. If football betting isn’t your thing, you can also find lot’s of other sports including horse racing, tennis, basketball, ice hockey, darts, snooker & pool, MMA, winter sports and lot’s more in between. The ComeOn! 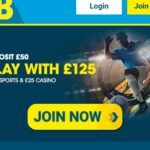 Free Bet Club – Join now and get Free Bets every Friday. Just place multiples bets on your any sports events during the week. Track your progress daily, through ComeOn’s 3 club levels in the Club Page. It’s pretty simple, the more multiples bets you place Monday-Thursday, the higher the Free Bet reward you win on Friday. ComeOn European Predictor Challenge – Get the chance to win up to £100 in free bets. To enter the competition, all you need to do is message ComeOn on either their Twitter or Facebook page your match score predictions on selected European matches each week. Horse racing plays a large part on the app and ComeOn have some fantastic odds. They cover nearly all racing in the UK & Ireland. All in all it is a really great app for sports betting that really looks the part. If casino is more your thing, you can access the ComeOn casino directly from your mobile by their HTML5 web based app. Explore your thrills is the punchline of the app and it certainly does that! Click on the menu on the left of the app and select casino, enter the lobby and you are met with an abundance of games. 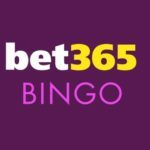 These are bought to you by some of the most popular online games providers around including NetEnt, Evolution, Microgaming, Play n Go, WMS and Yggdrasil. There are over 200 games to choose from on the app including slots, table games and an excellent live casino with all your favourite games. Here you can find live roulette, dream catcher, three card poker, speed roulette, blackjack, baccarat and more. The graphics as you would expect are phenomenal and we love playing live casino via the mobile app. See https://promotions.comeon.com for the full list of welcome bonuses and offers that are available to you as a new customer and also offers available for existing players. Australia, Czech Republic, USA (including its territories), France (including its territories), Ireland, Turkey, Curacao, Croatia, Spain, Hungary, Romania, Poland, Portugal and Netherlands. 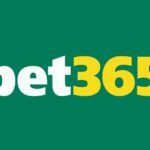 betting apps 365 has all the best & latest gambling apps available to download. Free bets, bonuses & special new customer offers available.